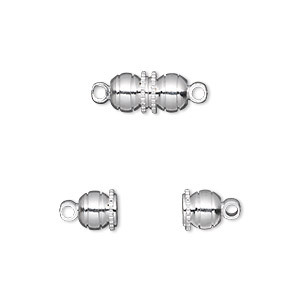 Clasp, magnetic, silver-finished brass, 12x6mm double round. Sold per pkg of 10. 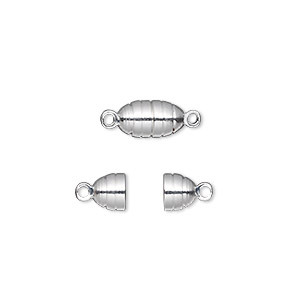 Item Number: H20-7241FN Have a question about this item? Ideal for light and medium-weight necklaces. 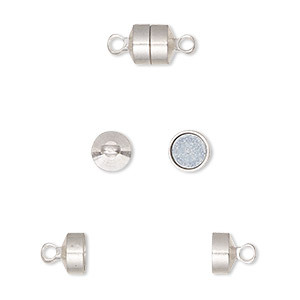 For best results, slide clasp ends apart to keep magnet from loosening. 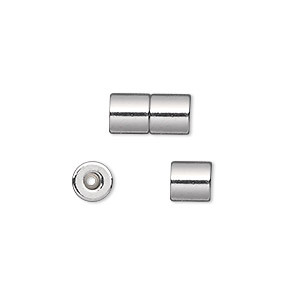 Standard magnetic strength. 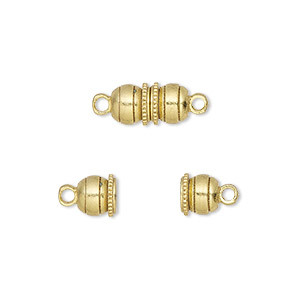 Clasp, magnetic, silver-finished brass, 12x6mm double round. Sold per pkg of 100. 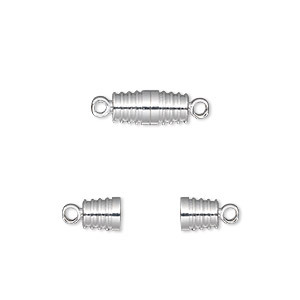 Clasp, magnetic barrel, silver-plated steel, 12x6mm round tube with 1mm inside diameter. Sold per pkg of 4.